I am so sad. My Kitchen-Aid broke Tuesday and it is in the shop until Monday, at least. 😦 So, what is a baker to do? Well, I have been trying to find desserts that I can mix by hand, use a food processor or even my old school hand mixer. 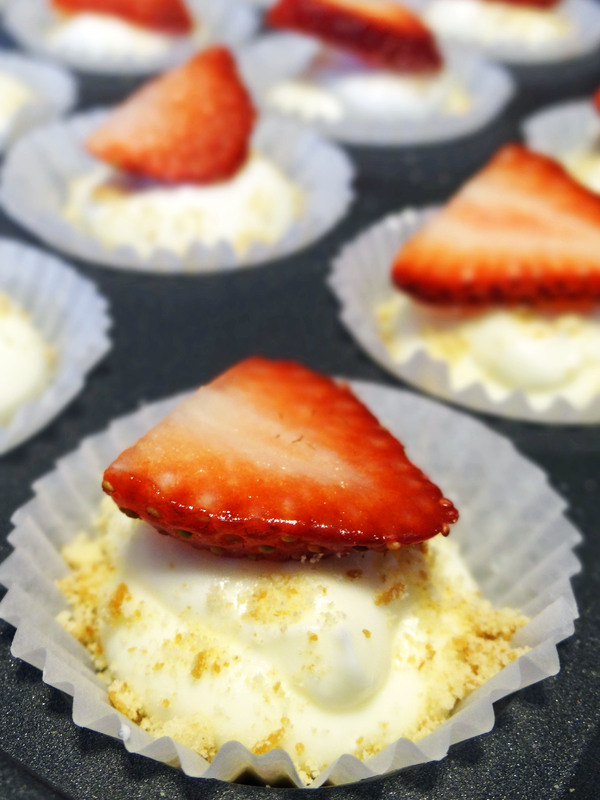 I got Desserts by the Yard for Christmas and I came across a recipe for no bake mini cheesecakes. Perfect! The book is written by Sherry Yard, Wolfgang Puck’s pastry chef. I was surprised that the woman behind all the fancy pastries for the Oscars also had a recipe for such a simple, but delicious dessert. The crust is made up of Nilla wafer crumbs, no butter, just crumbs. A lemony cheesecake filling is then piped over the crust. You then refrigerate them for a few hours and you have cheesecake without all the hassle of a leaking spring form pan, baking in a water bath and trying to hide the cracks. I love that you can change the dessert up in a variety of ways- add fresh fruit or pie filling to the top, fold chocolate chips into the filling, use an Oreo crumb crust and topping…the possibilities are endless. 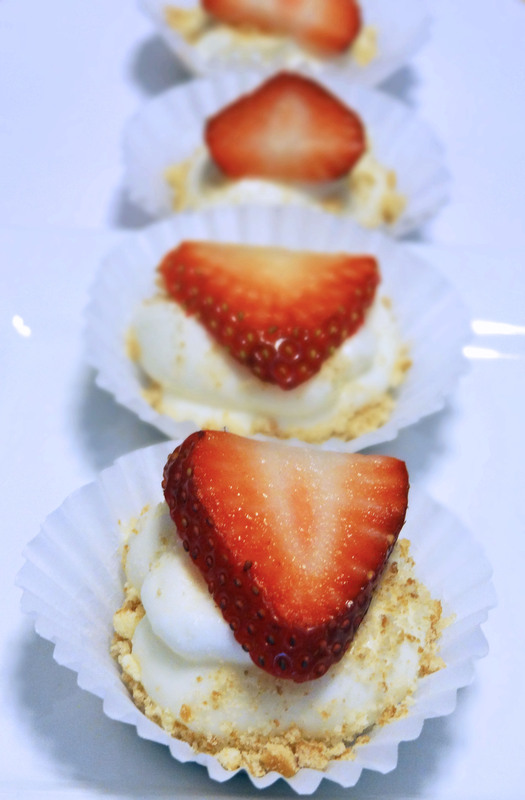 So if you need a quick and delicious dessert for some easy-peasy entertaining, look no further than these no bake mini cheesecakes. 😀 After all, everything is better in mini! Pulse cookies in a food processor until you have crumbs. Line the cups of 2 mini muffin pans with paper liners and spoon a layer of cookie crumbs into the bottom of each. In bowl of a stand mixer or with a hand mixer, beat the cream cheese and sugar at medium speed until smooth, about 3 minutes. On low speed, beat in sour cream and lemon juice until well combined, about 1 minute. Scrape down sides of bowl. Spoon or pipe filling into cups, dividing evenly. Refrigerate 2 to 4 hours, until set, or overnight. I found that chilling overnight allowed the crust to set better. If you don’t have a pipping bag, just cut off the corner of a Ziploc bag and pipe it that way or you can just use a spoon. Sherry Yard says she also pipes this filling into raspberries…now that sounds delicious. Or how about hulled strawberries?